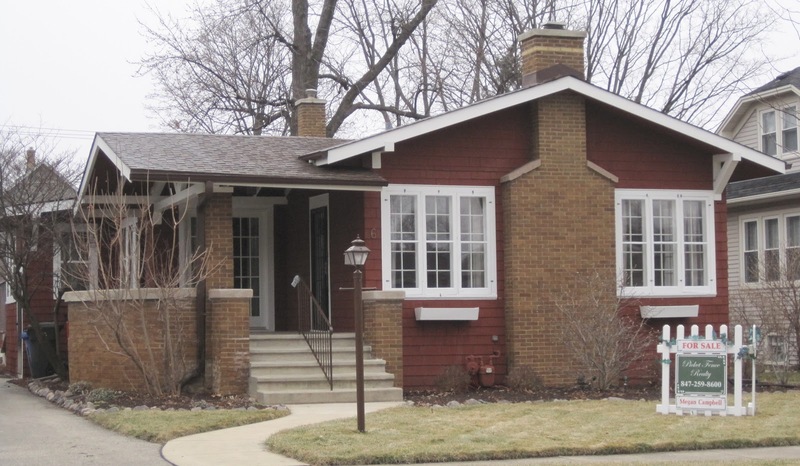 Another company that sold mail-order homes by catalog was Harris Brothers, based in Chicago. Harris Brothers sold kit homes from 1907 to 1935, and they did not have the catchiest names for their models. 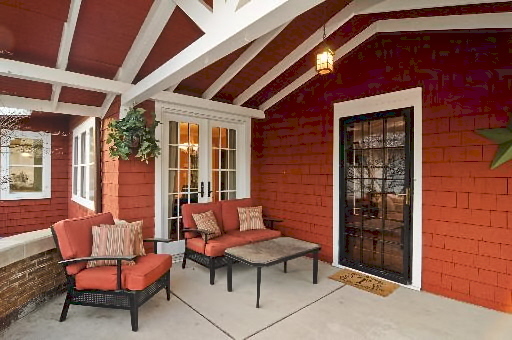 This California bungalow in the Triangle was built in 1927. I believe it is model No. 1000 from Harris Brothers (the naming of the model changed over the years). 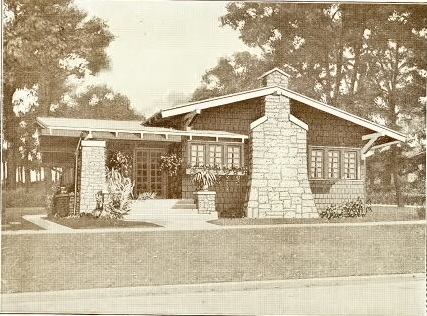 Note the dominant chimney, curved porch, and French doors to the dining room. The roof over the porch does not extend to the chimney, though--it must have been truncated at some point--maybe because it was blocking the new taller windows. View of the curved porch and the exposed rafters. A nice place to hang out in the summer with a glass of wine! There were designs similar to that of the Harris No. 1000 available in house plan books. 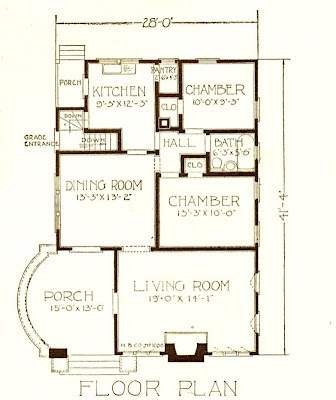 However, these copycat plans had different roof lines and different configurations for the hallway and access from the dining room. 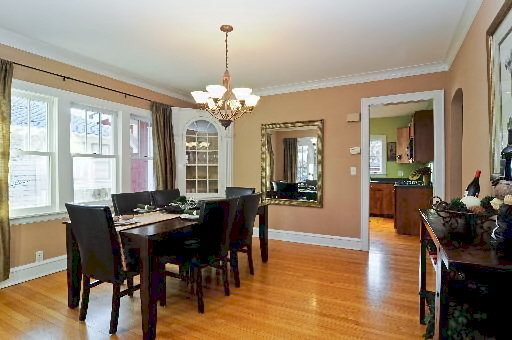 The interior of the Mount Prospect house matches the Harris No. 1000 design. In the Harris Brothers plan for No. 1000, there is a door to the kitchen on one corner of the dining room and a pass-through to the hallway on the adjacent wall just next to the door. It matches! 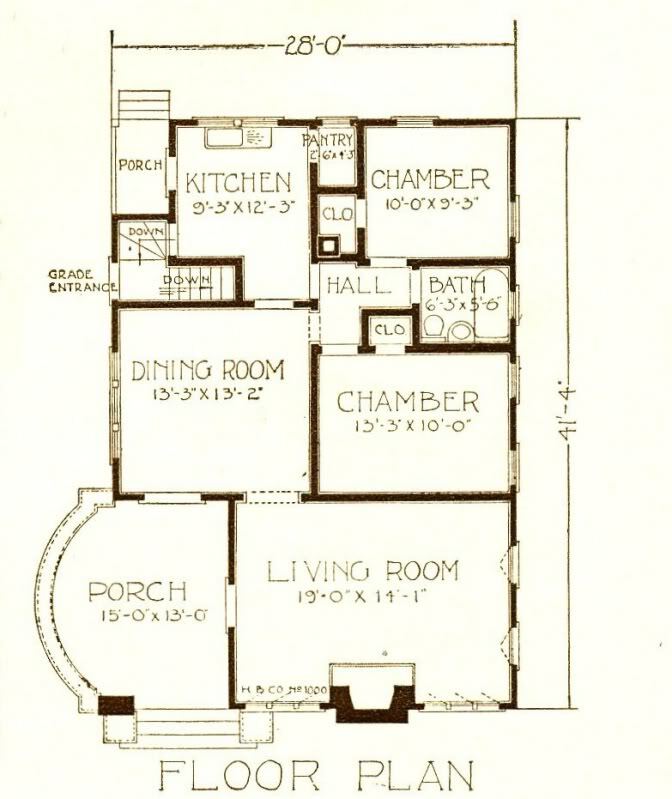 Note the three windows, just like on the plan. Outside the window, you can see that the kitchen has been extended. I'm not 100% certain this is a Harris Brothers No. 1000, but I think we can make a pretty good case for it being one. This house on Elm was listed by the Illinois Historic Preservation Agency as one of the six most historic architectural properties in Mount Prospect. Here is a photo of the house taken during an architectural survey in the early 1970's. The roof was still extended in the 1970's. The original owners were Otto and Martha Freitag. Otto was a doorman for a club. Otto died in 1943 and Martha continued to live in the house until at least 1974.